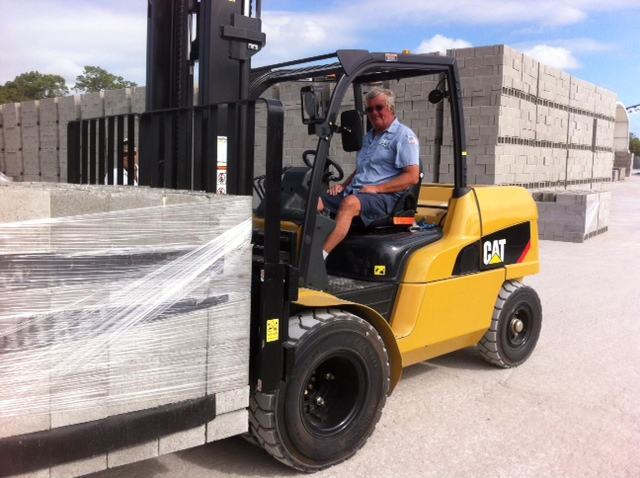 Durlach Industries, a manufacturer of precast concrete stairs and landings in Bradenton, Fla., recently took delivery of a used forklift. The Certified Used Cat® GC70K-LP is the second Cat lift truck the company has purchased from Tampa/Sarasota territory sales manager Jim Caroniti. 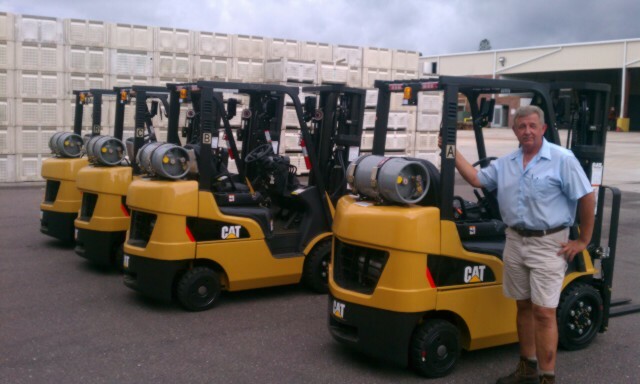 Owner Klaus Durlach is very pleased with the new forklift and is now a real a Cat equipment fan. Durlach ships his product all over the U.S. to general contractors, precast concrete companies, architects and structural engineers for governmental projects, high rises and schools. Klaus Durlach says, with Cat lift trucks, “Durlach can handle just about anything." While his wife was distracted attending law school, John Stiefel built a furnace. Not to warm their home, but to smelt scrap metal. Built on a trailer, he towed it to scrap yards and converted aluminum scrap into ingots that could be resold for higher profit. Now he melts scrap aluminum wheels and makes them into … new wheels. 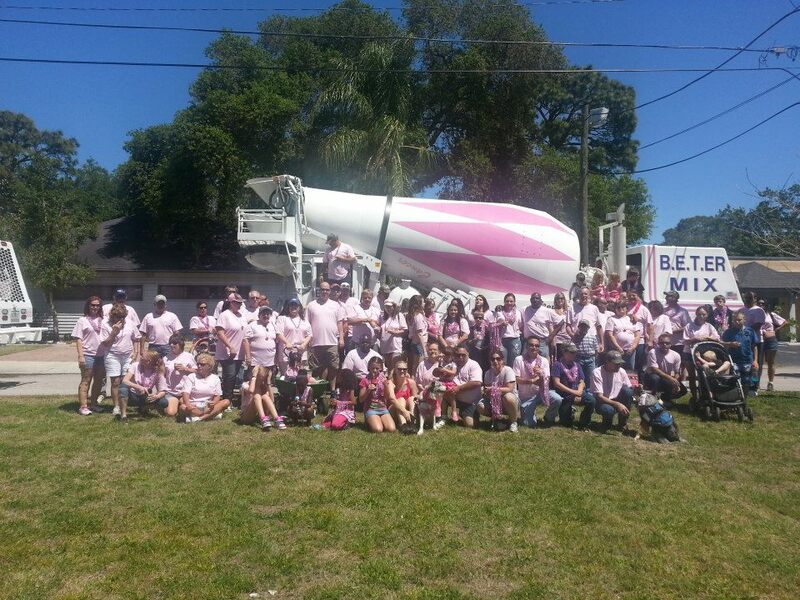 Stiefel has two companies in Dade City, Fla. Stiefel Aluminum acquires scrap aluminum wheels and smelts them. Some of the aluminum is made into ingots for resale, but the rest is transported to his other company, SB Manufacturing, which produces aftermarket and “replica” wheels to replace damaged OEM wheels. The foundry, Stiefel Aluminum, started as a Ring Power Lift Trucks service customer, eventually buying a couple of forklifts to move product and lift it into the furnaces. With the addition of SB Manufacturing, there was the need to transport a crucible of molten aluminum to the casting machinery – to accomplish this, SB Manufacturing purchased a new Cat 12,000 lb. lift truck. On the SB side, compressed air is integral. They use it to automate the casting, heat treatment and x-ray (quality control) machinery; it is also used to power the machining, polishing and paint line in the finishing facility. To meet their compressed air needs, they turned to Ring Power Air Compressor Representative Jason Stone – who set them up as an “air over the fence” customer. To accomplish this, Ring Power installed two Sullair compressors, a 125 h.p. variable-speed unit and a 75 h.p. unit – both with receivers and desiccant dryers. SB purchased separate delivery systems – one in the casting room, the other in the finishing facility – that feature 3-inch piping with more than 30 air drops. Transair aluminum piping was selected because it is resistant to corrosion, minimizing impurities and turbulence. The system also features special fittings and valves that allow it to be installed and modified quickly. As an “air over the fence” customer Stiefel purchases the compressed air (at a determined pressure, temperature and humidity) from Ring Power – rather than the compressors and associated equipment. 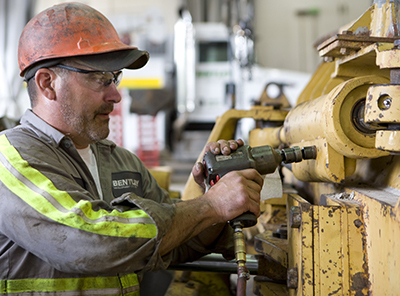 This arrangement allows Stiefel to avoid the typical headaches and cost fluctuations associated with equipment ownership, and allows Ring Power to control the other variables – such as maintenance, replacement schedules and equipment selection – ensuring both get the biggest bang for the buck. Stiefel started his first foundry in 1992 in Ohio with the furnace on a trailer. He sold that business in 2000 and moved to New York. He later he opened another foundry in Watertown, N.Y.
On a particularly cold day – while gathered around a furnace for warmth – his son quipped “Dad, there has to be a better place to do this.” So on a family trip to St. Simon Island, Ga., they began to explore warmer locations. Once he confirmed his process worked in Florida and the material supplies proved reliable, he started looking for bigger facilities. 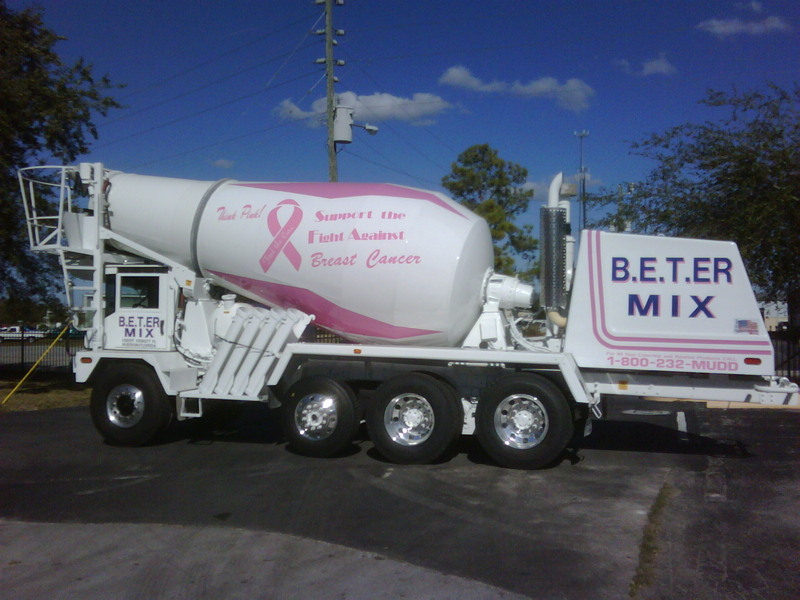 He landed in the Dade City Business Park in the former Lykes Pasco Beverage plant. In September, SB started selling wheels – made from 100% recycled aluminum – and the casting room shifted to round-the-clock production. Additional casting machines are also being added. As production increases toward the goal of one million wheels annually (expected in 2014) Stiefel Aluminum will phase out ingot production and focus exclusively on supplying SB Manufacturing with molten aluminum. Stiefel Aluminum currently employs 25 (and expects to add up to 10 more) and SB plans to have 70 employees when they reach full production. 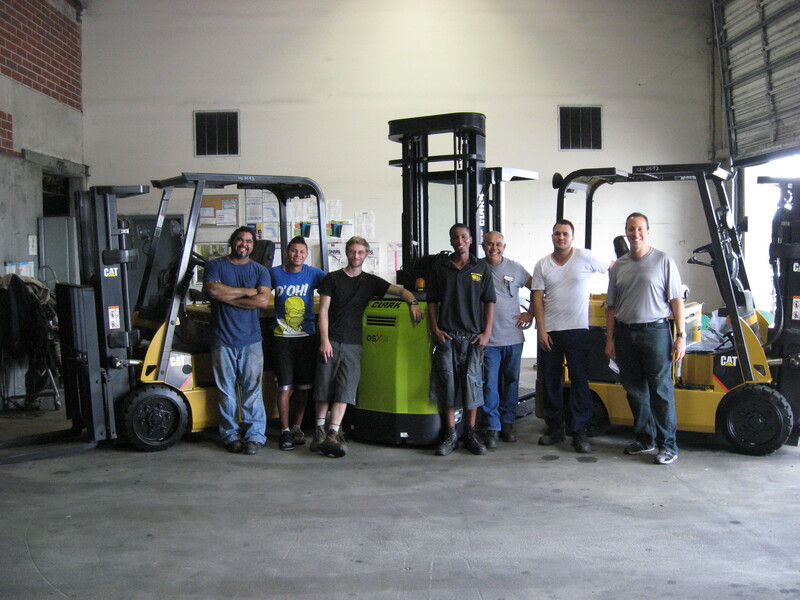 With an aging lift truck fleet and increasing repair expenses, Tampa-based Corasential called on Ring Power’s Lift Truck team to perform a complete fleet evaluation. Working closely with Coresential, the Ring Power Lift Trucks team carefully reviewed Corasential’s warehouse operations, fleet maintenance reports, and overall equipment health. 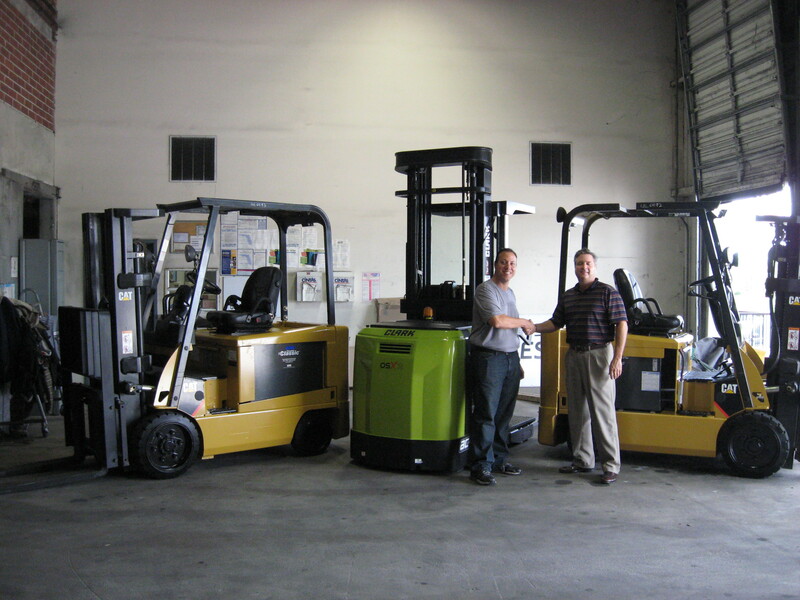 By combining the equipment operations and productivity expertise of area Salesman, Joe Zevchak and the product support talents of Product Support Representative Jason Marmino, Ring Power Lift Trucks assembled a proposed fleet replacement to lower the cost of forklift ownership and improve fleet productivity. Because Ring Power Lift Trucks represents several leading forklift manufactures with varying operational and costs characteristics, we are able to offer a mix of equipment that best suits our individual customer’s needs. In the case of Coresential, the Ring Power Lift Trucks team developed an initial fleet replacement plan, consisting of two Caterpillar E6000 four-wheel electric trucks and a Clark OSX15 electric order picker. Corasential had previously been running LP gas trucks and was leery of switching over to electric. Their previous experience with electric forklifts led to the impression of under-powered forklifts that saved time on operational expense at the cost of productivity. If it were not for the nearly 20 year relationship with Ring Power's lift truck division, Coresential would likely have returned to their trusted LP units. 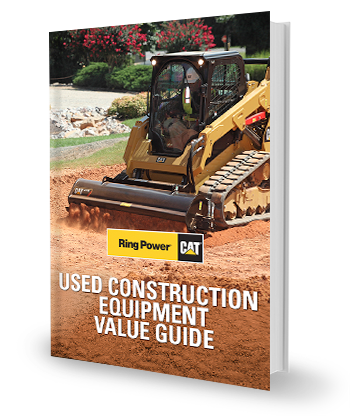 Their trust in the Ring Power Lift Truck’s team and a demonstration of the capability of the Caterpillar and Clark products at the Ring Power's Riverview/Tampa facility convinced Corasential that they could go electric without sacrificing productivity. Coresential has now taken delivery of their initial truck replacements and are pleased with the productivity increases and how quiet the electric trucks are in the plant. 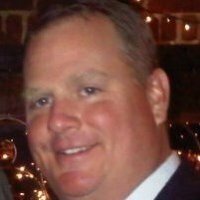 Coresential is planning on additional replacements of LP trucks with Electric. The lower operational expense, improved productivity and safety of quiet electric has proven to be a big win for Coresential. Ring Power Lift Trucks is Florida's premier material handling equipment supplier, with ten conveniently located forklift facilities. 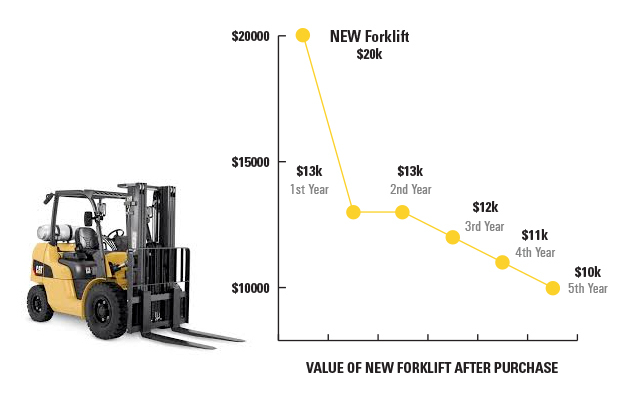 Choose a new forklift or used forklift, to fit your budget. 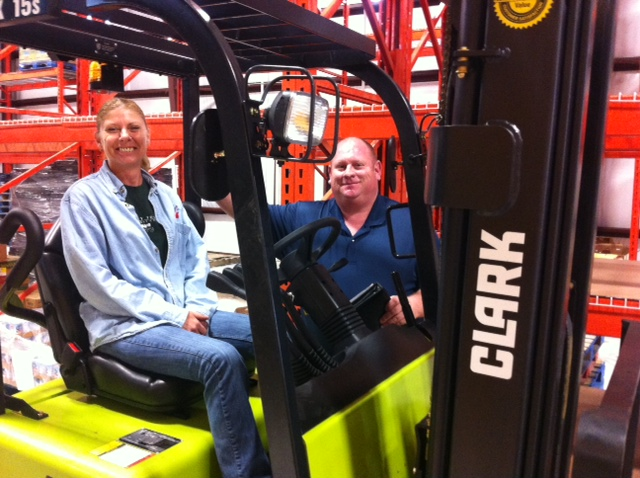 We supply forklift parts and service no matter what make or model forklift you own. We even design entire warehouses with new pallet racking. Our Miami operations have moved to a larger facility in Doral, Fla., near the Palmetto Expressway. 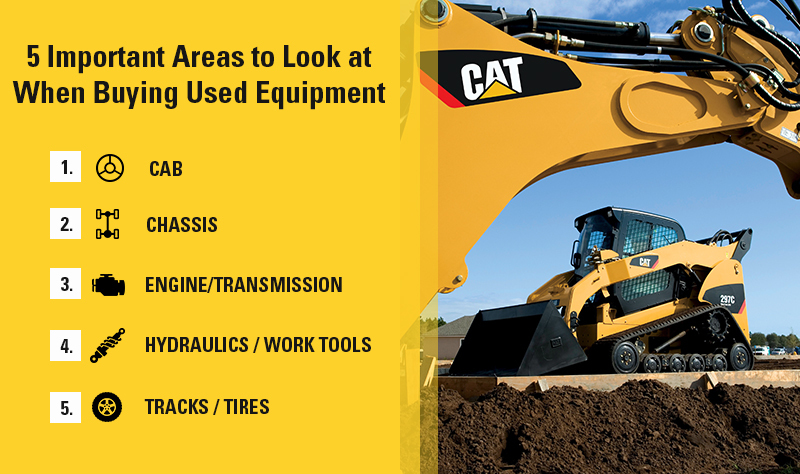 The new Ring Power location, which opened for business Feb. 4, now offers: non-Cat parts, service, sales and rental of forklifts, cranes and air compressors and will serve both domestic and export customers.